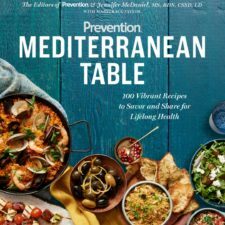 Before American Heart Month comes to a close, I’m sharing some new information and resources to help you “enjoy your food with (heart) health in mind”! If you listen to my Sound Bites® Podcast, you know that’s how I sign off on every episode. I truly believe we all want to be healthy but we also want to, and should, enjoy the foods we eat. So that’s why I get excited when I learn something new that makes it easier for me (and you) to enjoy food with health in mind. Disclosure: I’m a member of the Beef Expert Bureau for which I receive an annual honorarium. As always, the information I share with you is evidence-based and aligns with my personal and professional brand and values. I recently attended an event “Picture This: Beef Recipes, Research & Photography for Strong Starts and Healthy Hearts” hosted by Beef. It’s What’s for Dinner. at the Chopping Block in Chicago’s Merchandise Mart. Even though I’ve been on the Beef Expert Bureau for several years now, I was surprised to learn that in addition to nine ‘extra-lean’ beef cuts being certified by American Heart Association’s® Heart-Check program, AHA has also certified twenty new beef recipes with its Heart-Check Mark! The American Heart Association’s® Heart-Check mark is an easy way to cut through the clutter and find foods that can be part of a healthy dietary pattern. The iconic Heart-Check Mark has been on food packages and in the grocery store since 1995. Today, one out of three shoppers say they use the Heart-Check Mark to find healthier options in the grocery store. 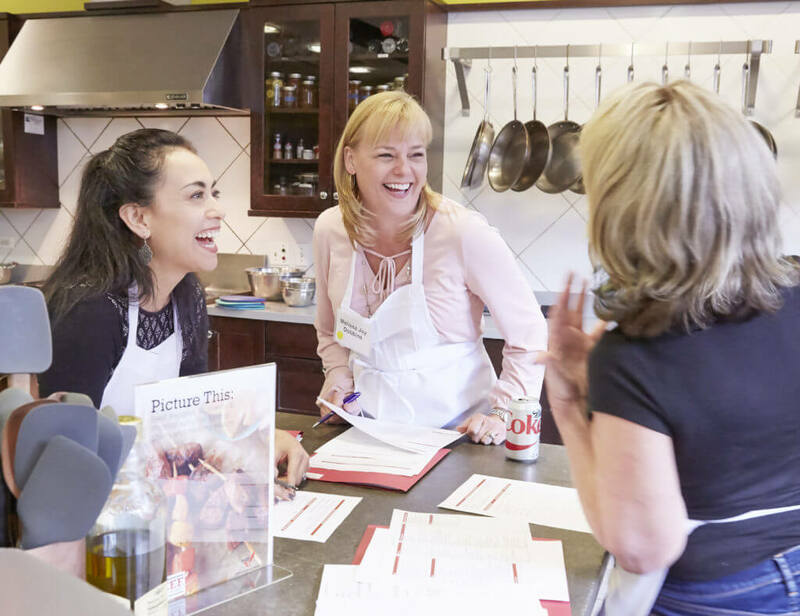 Now, the Heart-Check Mark is also helping health-conscious Americans find heart-healthy recipes they can make at home. Certified recipes have been evaluated by one of the most trusted health organizations to meet specific nutritional requirements. 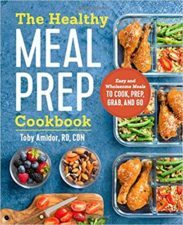 I learned all the details about the Heart-Check Recipe Certification Program Nutrition Requirements developed by Cheryl Hendricks and Autumn Jones, who are dietitians from the American Heart Association®. Specifically, how many calories and how much fat, saturated fat, trans fat, sodium and added sugar is allowed per serving. 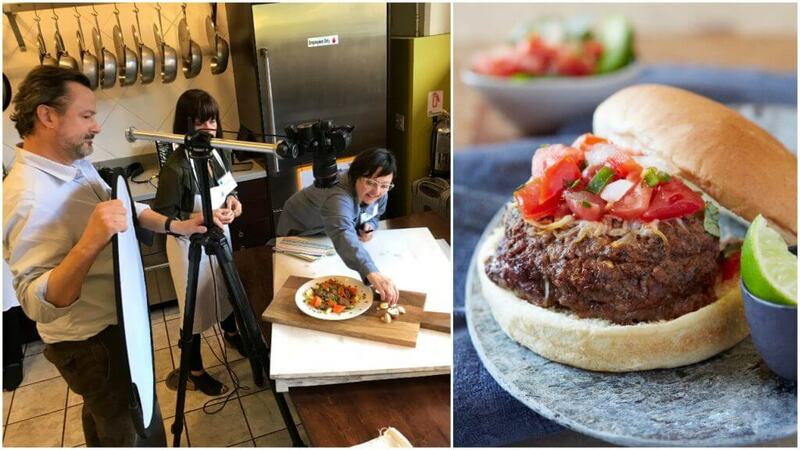 I also learned some really cool photography tips from Jennifer Marx which I’ll share with you, but first let me tell you about our recipe challenge. We went into the Chopping Block kitchen to roll up our sleeves and do some recipe modification. My group was assigned to modify the recipe for Cheesy Jalapeno Pepper-Stuffed Burgers. Anyone who knows me knows that I love a good recipe and I will follow it to a T, but I am also very willing to modify a family favorite so that it’s healthier and we can enjoy it more often. Our task was to take the original recipe and determine what modifications we could make to reduce the calories, fat, saturated fat, trans fat, sodium and added sugars to meet the Heart-Check criteria. It took some brainstorming and number crunching to weigh our options and come up with our best solutions. 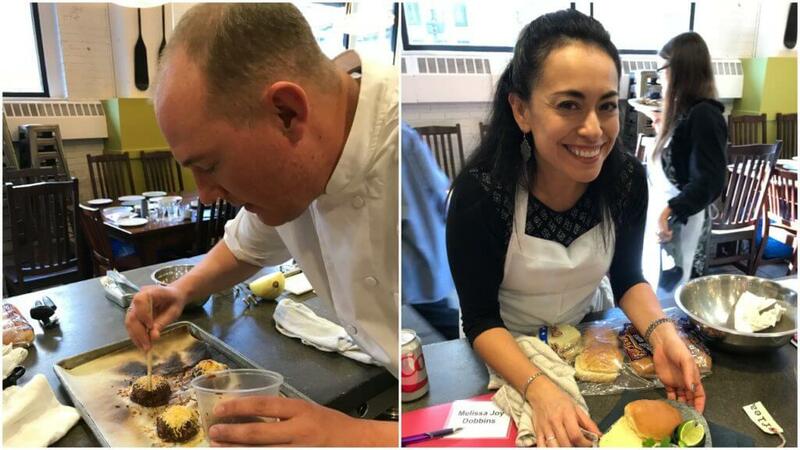 Then we ran our “new” recipe by the Beef and AHA experts so they could double check our calculations to make sure our new recipe met the Heart-Check criteria. Then we went “shopping” in the pantry and actually prepared the recipe, just like they do on Food Network’s “Chopped”—time limits and all. With only minutes to spare, we were lucky that Chef Barry helped us make sure the burgers were cooked to the proper temperature—so important! Then we did our best to make them look pretty, including choosing the perfect plate and backdrop. My partner and friend, Christy Wilson, has a special flair for this that I hope rubbed off on me just a little bit. Here are just a few photography tips from Jennifer Marx that I found very useful and I hope you do, too! Look for something interesting and beautiful in each food you photograph. Find interesting shapes in negative space. Find the imperfections – the nooks, the crannies, the cracks – in a food, and let those characteristics shine. Highlight shapes. Tell a story with your scene. If you’re photographing a glass of wine at a restaurant, stand it next to the bottle, cork in front, with a waiter in the background. Monochromatic foods can be difficult to photograph. Create contrast and emphasize shapes using contrasting colors. Make food stand out by pairing it with contrasting plates, napkins, etc. You’ll see that a blue background helped offset the brown tones of the burger and bun. If you think you’ve been seeing a lot of blue backgrounds lately, you’re not the only one! 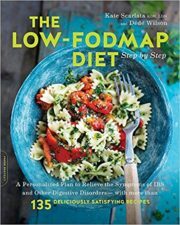 Check out these new books from three of my dietitian friends. Are you seeing a theme here? I love it! 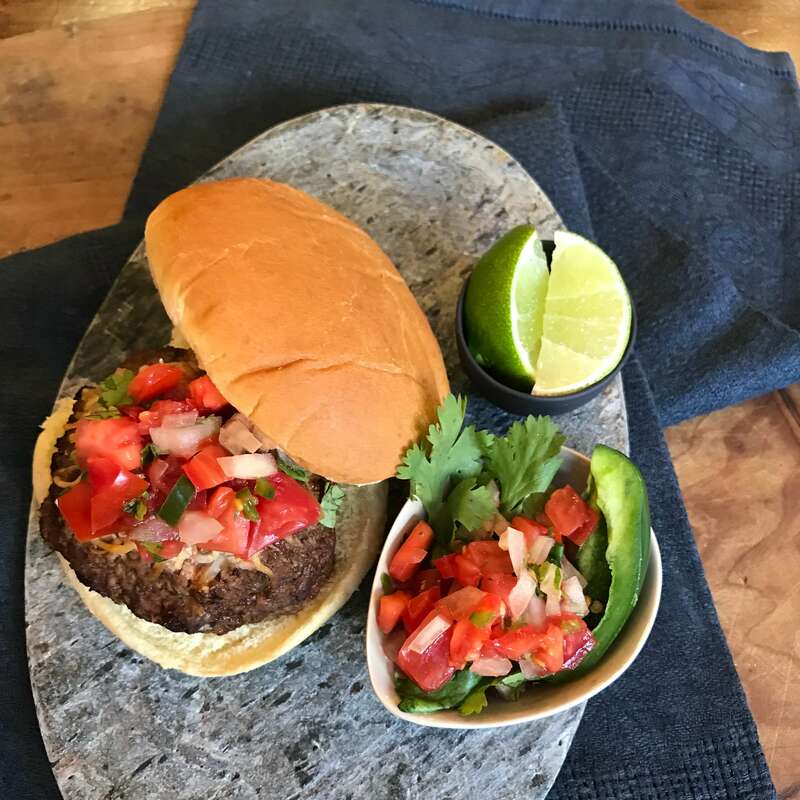 I hope you try some of these food photography tips and check out the new heart-healthy recipe collection of mouthwatering beef recipes certified as heart-healthy by the American Heart Association®! Also, Beef. It’s What’s for Dinner. recently launched a new website so be sure to check it out for more heart healthy recipes, cooking lessons, nutrition information, and more! A beautiful shot of a lean burger, plenty of veggies, and looks mouth-watering. 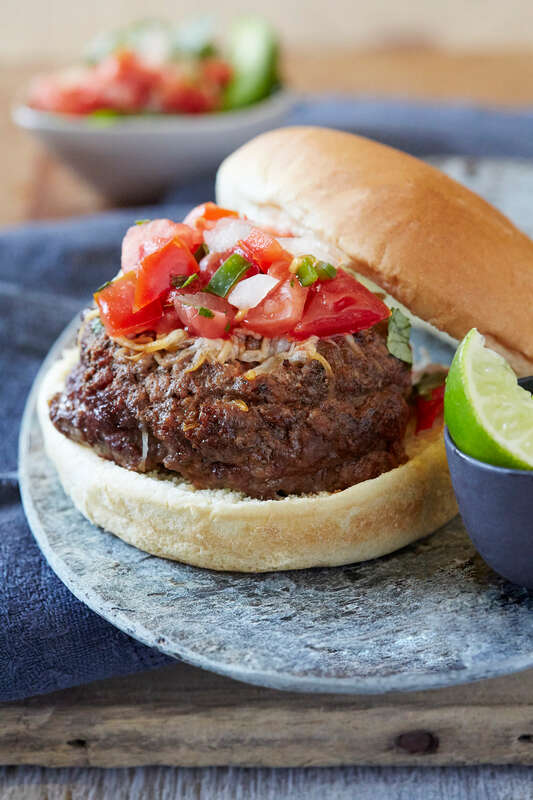 The photo makes the burger look elegant enough to make me want to use a knife and fork, at least for one or two bites — then it would be “all hands on bun”! Thanks Keith! It actually did taste even better than it looks! Kudos to my team Christy and Donna for their expert culinary skills, and Chef Barry to the rescue, too!